Asian Games 2018 is being hosted in Indonesia 18th Asian Games and also known as Jakarta-Palembang 2018, is a pan-Asian multi-sport event being held from 18 August to 2 September 2018 in the Indonesian cities of Jakarta and Palembang. Asian Games 2018 being hosted this year by Indonesia in its capital city known as Jakarta ,also known as Jakarta-Palembang. 18 Asian Games are scheduled from 18th August to 2nd September 2018.A Pan Asian multipart event is an event for which several sportsman eye for. Their preparation starts with full swing with the announcement. With two days more to end the event I cannot stop myself from writing about their surpass performance.Excellence is being fortified by everyone. I would like to congratulate China for leading the position with 112 Gold, 77 silver and 55 Bronze. Other countries are also giving their best. 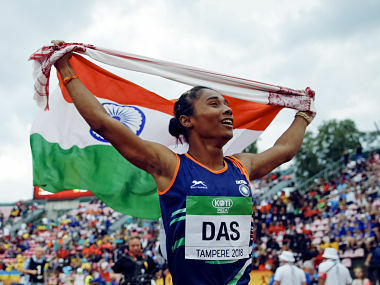 India has also pulled this year with 13 Gold, 21 silver and 25 bronze and the list continues. When you listen to their achievements and determination you will come to know how difficult life they live with limited resources but with full dedication. In the 25 meter rapid fire pistol event, Rahi Sarnobat clinched the gold medal.After that gold models start pouring in with Vinesh Phogat who won gold in women’s free style 50Kg category and became the first Indian woman wrestler to win gold. 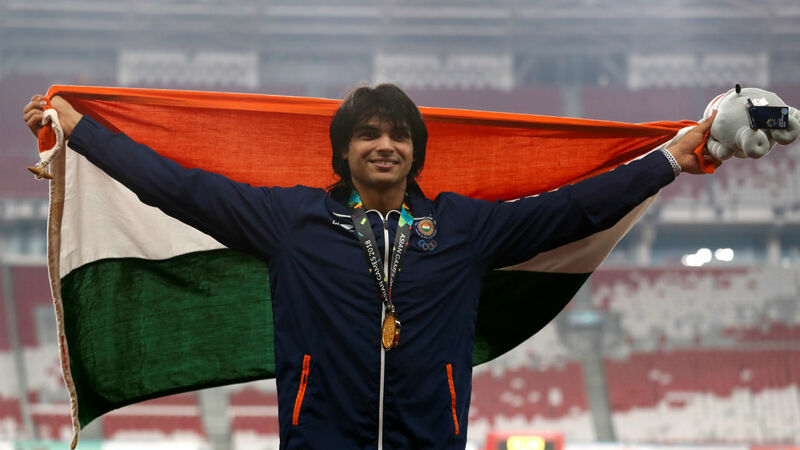 Neeraj Chopra won the country’s first javelin gold medal. He himself have set a new record. Saurabh Chaudhary also won the gold medal in 10m air pistol.India is competing strong and so the list exceeds with Bajrang Punia won the gold in men’s free style 65 Kg.The next Feather to add in the cap is in Rowing(Men’s quadruple sculls).To get this achievement for us we have gold medalist Swarna Singh,Dattu Baban Bhokanal and Sukhmeet Singh. Men’s double Lawn tennis also geared to get gold for us. Many congratulations to Rohan Bopanna and Divij Sharan. Whatever game it is we have managed to grab gold . In shotput Tajinderpal Singh toor wins gold. Manjit Singh yet again won gold in 800 meters. Athlete Arpinder Singer gears gold in men’s triple jump. Another women to clinch gold is Swapna Barman in Women’s Heptathlon. Jinson Johnson manages to win gold in Men’s 1500 metres. Yet another achievement which we achieved is Women’s 4×4 relay by M.R Poovamma,Saritanben Gaikwad Hima das and Vismaya. The list of silver and Bronze also continues in Shooting ,Kabaddi,Equestrian,archery ,badminton,athletics kurash,Wushu, lawn tennis,Rowing, squash. If you want to go through the entire list you can visit below Website. 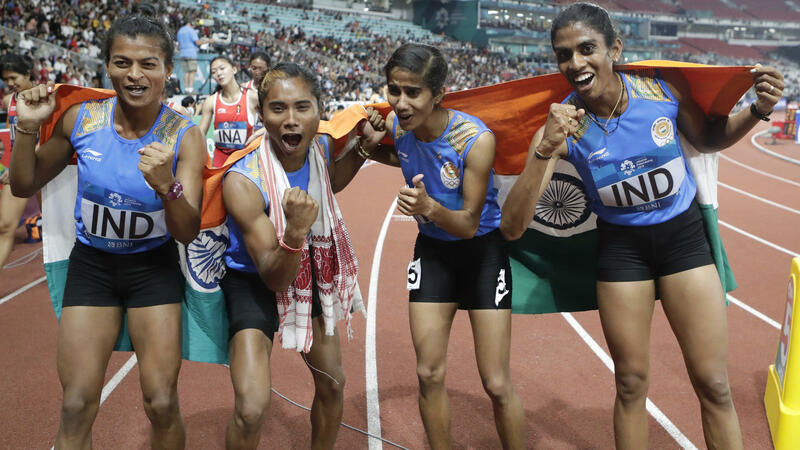 It gives us immense pleasure to congratulate these athletes.After winning when our Indian National flags unfurl with national anthem,it’s a proud moment for every Indian. It gives us goosebumps every time. Your constant determination and dedication gives us the feeling of pride. With India having won 59 medals in 12 days, Friday will represent an opportunity to go past their best-ever tally of 65 medals at an Asiad. This 18th edition of Asian Games is very successful as we Indians have exceeded expectations for its best Asian Games performance in close to seven decades .The moment of glory is all making us proud. I wish all of them lots of success and happiness. This moment will surely uplift the sportsmen attitude and will also crave for good sportsman, Also I believe sports in India will foster to a next level with better opportunities and amenities. With two days more to go, lets see whats more in store!